Type 2 diabetes is a condition that develops when blood sugar levels are consistently high. Left untreated, diabetes can lead to complications including nerve damage, poor circulation, kidney failure, blindness or even death. This condition is diagnosed by an A1C blood test that assesses average blood sugar levels for the previous 2 to 3 months. Normal A1C levels are less than 5.7 percent. A1C levels of 6.5 percent or higher result in a diagnosis of diabetes. Levels from 5.7 to 6.4 percent are considered prediabetic. Being diagnosed as prediabetic means that you'll want to carefully start monitoring your sugar intake. Too much sugar can lead to weight gain, making it harder for you to manage your blood sugar level, which further increases your risk of developing Type 2 diabetes. Not all sugar-containing foods are equally problematic, however; it's the foods with added sugar you want to limit in your prediabetic diet. Sugar comes in two forms in foods: natural or added. Natural sugar, like lactose from milk, isn't your big concern if you're prediabetic. Foods with natural sugars also give you fiber, protein and other beneficial nutrients. It's products that are full of added sugar that you want to avoid. 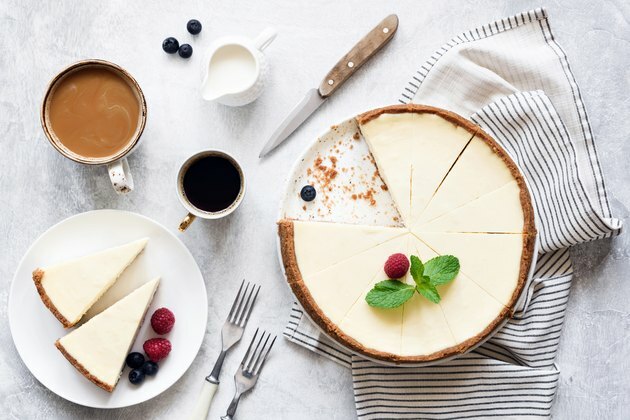 These foods, including baked goods, don't typically have much to offer other than a lot of sugar and a lot of calories. The sugar grams listed on the label include both natural and added sugar, however. Read through the ingredients list to figure out if sugars have been added. Sucrose, dextrose, high-fructose corn syrup and maltose are just some of the added sugar terms you'll see and should avoid. While no exact sugar recommendation for prediabetics exists, the Centers for Disease Control and Prevention recommends limiting your added sugar intake to less than 10 percent of your caloric intake. This means that if 2,000 calories a day is about your average, you shouldn't have more than 200 calories from added sugar. Because carbohydrates contain 4 calories per gram, this amounts to a maximum of 50 grams of added sugar per day for people with diabetes. Sugar, being a carbohydrate, takes up some of your total carb allotment for the day. While your specific carbohydrate needs may vary, generally getting 45 to 60 grams at each meal is a starting point for managing diabetes, the American Diabetes Association suggests. This means that by the end of the day, you should consume roughly 135 to 180 grams of carbohydrates in all. This includes all sugars, both natural and added, as well as starch. Sugar isn't the only carbohydrate you want to keep track of if you're a borderline diabetic. Monitor your fiber, particularly soluble fiber, intake, too. Fiber is a carb, although it doesn't digest completely, meaning it doesn't take away from your daily carbohydrate limit. But it is essential for blood sugar regulation. Soluble fiber binds with water in your intestines, which slows down the movement of food. This function makes sugar absorb at a slower rate, ultimately making it easier for you to stabilize your blood glucose. For 2,000 calories, aim for 28 grams of fiber daily, based on the Dietary Guidelines for Americans 2015 recommendation of 14 grams for every 1,000 calories. Fresh fruits, beans, carrots and oatmeal are all high in soluble fiber.